FAQs / What is ZoomChess? ZoomChess is an online chess learning system for 4-18 year olds. The service delivers a personalized program of lessons, exercises, and puzzles to your child through a computer. As your child uses ZoomChess, the system dynamically adjusts and delivers content appropriate to their level. 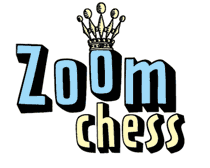 The ZoomChess curriculum was developed over 30 years of teaching children chess in the classroom, and has helped earn many scholastic State and National Championship titles in the U.S.